Mike and I go way back and when my daughter had her baptism Mike decided on making this great cue for her as a gift. Thanks again Mike for being such a great friend!! 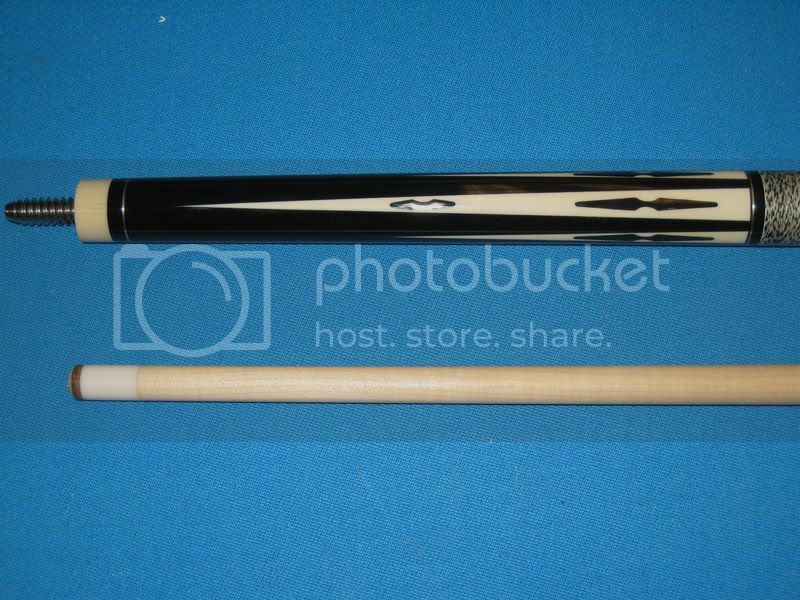 The cue measures 34" with a 3/8-10 pin and a custom Porper case, all white is ivory!! Great cue, post, pics, comments. Thanks for posting Paul. WOW!!! Almost makes john look over 200lbs. Thats a fancy jump cue. Ooooh!!! With a little boy on the way, i gots to get me, er..... HIM one of those!!! A lot of luv went into that cue. Besides, the one I would want for my little guy would be VERY tricky to build I would think. I was thinking about a full-splice, 4 veneer, wrapless AND bumperless hoppe. And I know how much you hate them bumperless hoppes! Lol. 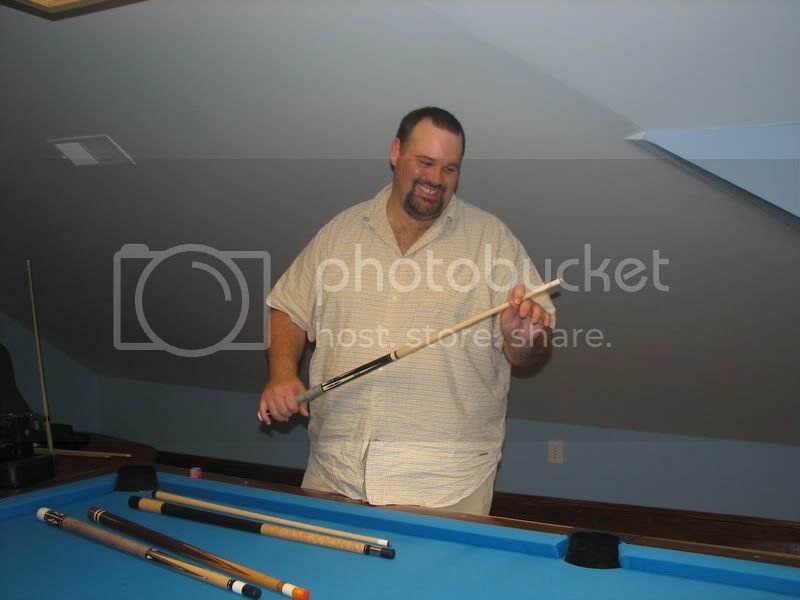 Still, that cue you built Paul is NUTS!!! 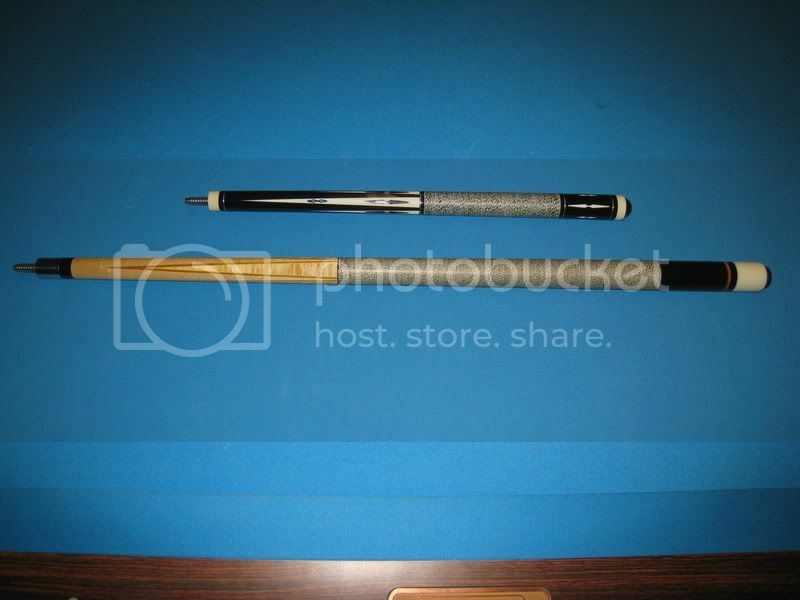 The baby cue AND the full size ebony 4pointer. Thank you, That is my very first mitered veneer cue, I did those with a flush router set up and jig I built, It couldn't have gone to a better guy. 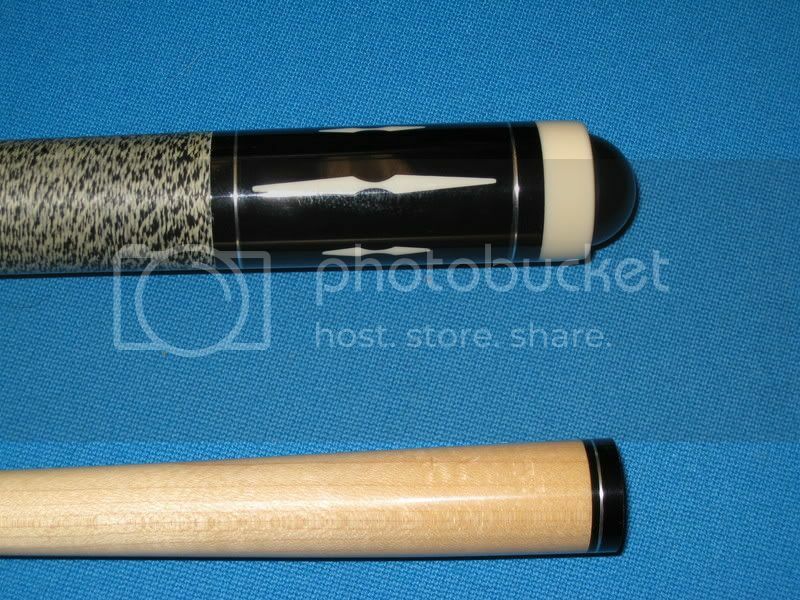 That cue is so cooooooool! Bet it was hard to get all that detail in such a little area. Great work Mr. Webb.